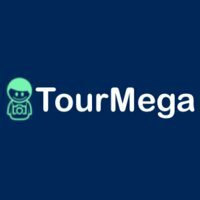 TourMega, Airbnb biggest challenger, is expanding! With more activities and tours than AirBnB, TourMega, aims to be the global leader of tours and activities around the world. TourMega, Airbnb Experiences biggest competitor, is expanding. Since its launch, TourMega, a vanguard Silicon Valley startup, disrupts the travel and tourism industry as the first search engine dedicated to tours and activities around the world. With TourMega: SEARCH, BOOK, and EXPLORE! TourMega is the first one-stop platform featuring more than 56,000 travel experiences in 2804 cities; and aims to add 30, 000 more activities for the end of the year celebrations. The platform offers to travelers thousands of unique experiences at their fingertips. In few clicks, book a cooking class in Paris with a real chef, dive in the Pacific Ocean, dine at Michelin rated restaurants in Tokyo, or watch an aurora borealis in Iceland on New Year’s Eve. TourMega is already working with preeminent tour operators and innovative startups such as GrayLine, City Discovery, Withlocals, Spatial.A.I, and e-miles. The development team led by Quynh Pham, TourMega’s Founder, just launched a chatbot on Facebook Messenger and will soon be deployed on Google Mini, Skype, and Slack. They are also working on artificial intelligence solutions, mobile applications for IOS and Android devices, and virtual reality tools. TourMega was founded in 2016, by Quynh Pham, and an international team who share the same love for travel, culture and new technologies. For more information about the company and the team, please contact us at media@tourmega.com and visit www.tourmega.com. Be the first to comment on "TourMega, Airbnb biggest challenger, is expanding!"